These desktop promoters will give your brand great exposure! 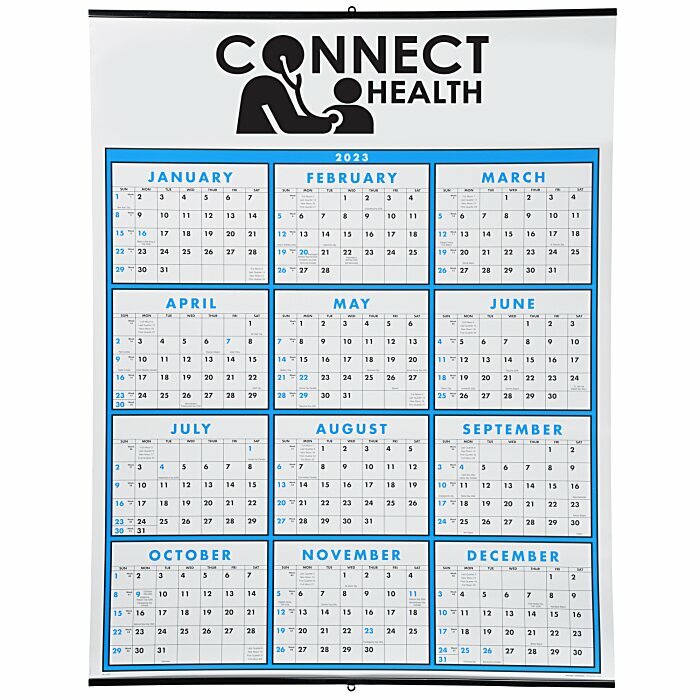 The promotions your brand will receive from this non-laminated advertiser will span an entire year. Features tin edges at the top and bottom of the calendar to prevent curling and increase longevity. 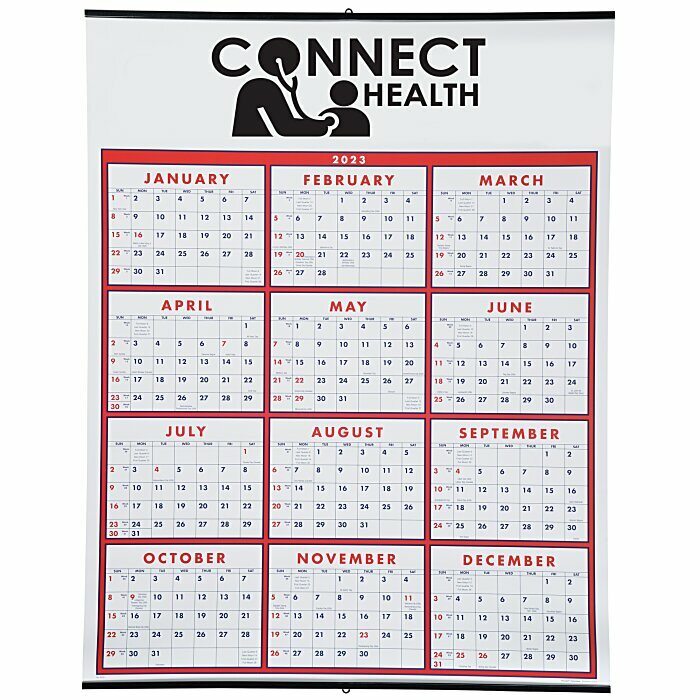 The large size makes this calendar ideal for larger spaces like desktops or tables. Constructed with 80# matte paper stock that will give your logo a professional appeal. Your price includes a black imprint on the front of the calendar. * Excludes art preparation time, applies only to orders of 750 items or fewer.